If you want to save some money and make your own floor cleaner for your spray mop, there are several simple DIY floor cleaning solutions you can make yourself at home. 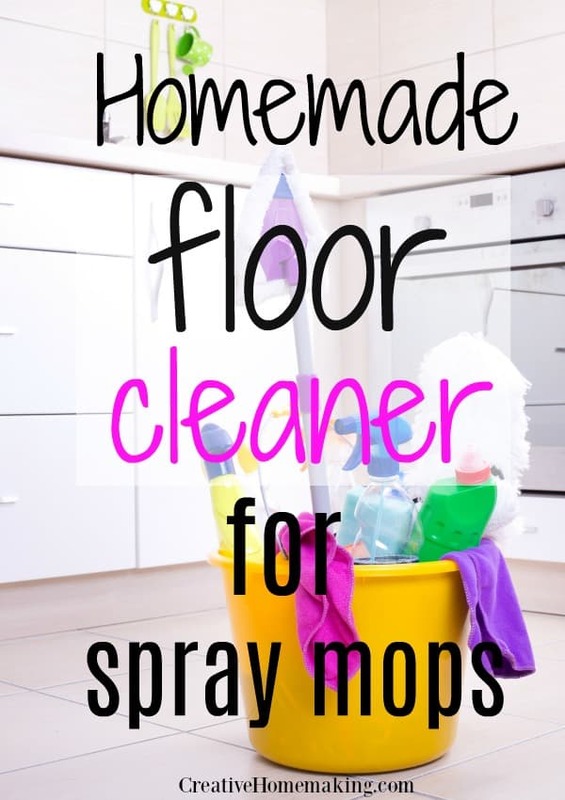 You can use these homemade cleaning solutions along with my favorite quick mopping tips. Many homemade floor cleaners include white vinegar. Vinegar is a great natural disinfectant and won’t leave any sticky residue on your floor. 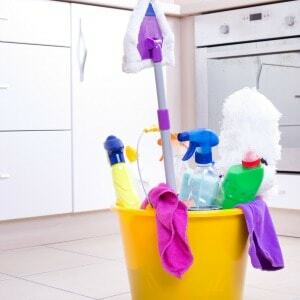 Add 1/2 cup white vinegar to a gallon of warm water and add to your spray mop as needed. Store the extra cleaning solution in a clean empty gallon milk jug. You can also add up to 5 drops of your favorite essential oil to your DIY floor cleaning solution. If you want to make a homemade floor cleaner for your spray mop that does not contain any vinegar, then add 1 cup rubbing alcohol to 1 gallon of warm water and refill spray mop as needed. Combine 1/8 cup white vinegar, 1/8 cup baking soda, 2 teaspoons liquid dish soap, and 1 gallon warm water. Make sure baking soda is dissolved before adding mixture to your spray mop. This cleaning solution does not need to be rinsed from your floor, just mop and go. Mix together 2 cups warm water, 1/2 cup white vinegar, 1/4 cup rubbing alcohol, 3 drops liquid dishwashing soap, and 5 drops essential oil (optional). This floor cleaning solution also does not need to be rinsed from your floor.